Perfect pooch entrepreneur wins Australia’s Top Franchising Award! For entrepreneurial mom, Christine Taylor, the phrase ‘Never work with animals or children’ falls on deaf ears. Her global business success story Aussie Pooch Mobile would not have got past square one had she given any credence to the belief. 2005 was another winning year for Chris winning the coveted Australia’s Woman in Franchising Award. 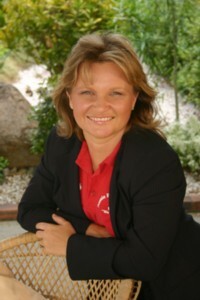 Christine Taylor is the Managing Director and founder of Aussie Pooch Mobile. Her career began when she started an innovative dog clipping and grooming service in 1985 when she was just 16 years of age. A few years later Chris expanded this service to include mobile hydrobathing units travelling direct to customer’s homes. The company was launched as a single mobile hydrobath in 1990, as demand increased the business rapidly grew. After some experimentation, a huge amount of courage, a feasibility study and the full support of her husband, Chris created and launched the Aussie Pooch Mobile Pty Ltd in 1991. This is where her journey within the franchise industry began. The Aussie Pooch Mobile was the world’s first franchise system of its kind and is the Premier Dog wash and care company in the world! The company also operates under the name `The Pooch Mobile’ with Master Franchisees in United Kingdom, Malaysia, New Zealand, New Caledonia and the USA. There are now over 200 operators worldwide. Franchising with The Pooch Mobile allows Dog Lovers to be rewarded for their efforts. Pooch Mobile Franchisees will have the good fortune of building a successful business while doing something they enjoy. Chris and The Pooch Mobile USA welcome your inquiry into joining The Pooch Mobile team.